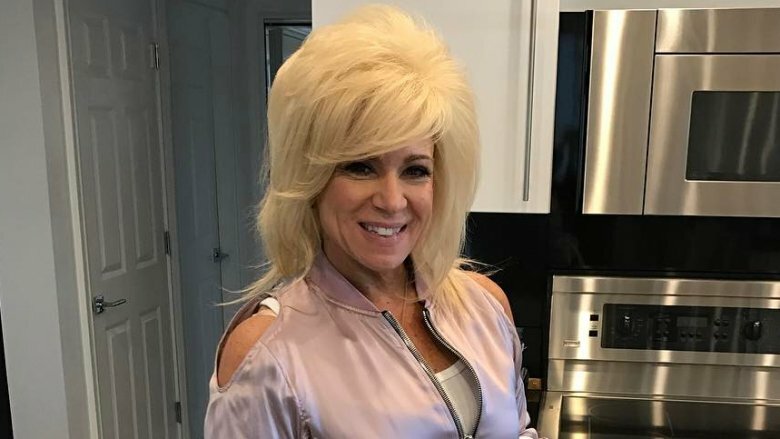 Since debuting in 2011, Long Island Medium has dominated ratings and made its star, Long Island native Theresa Caputo, a household name. From being "the most watched non-sports program" in 2013 to raking in viewership stats that were "25% higher than TLC's average rating in the show's regular time slot" in 2016, the series is showing no signs of slowing down. Caputo's larger-than-life personality (and hair) are undoubtedly to thank, as is her reported ability to see, feel and sense spirits — a talent she discovered when she was just four years old, but didn't embrace until she was in her twenties. She describes on her website that it was only after seeing spiritual healer and teacher Pat Longo about her anxiety that the reality star was instructed to "learn to channel Spirit through my chakras and release it with my words." This is something she claims to do on her show, but that many are now questioning. Here's the untold truth of Theresa Caputo. 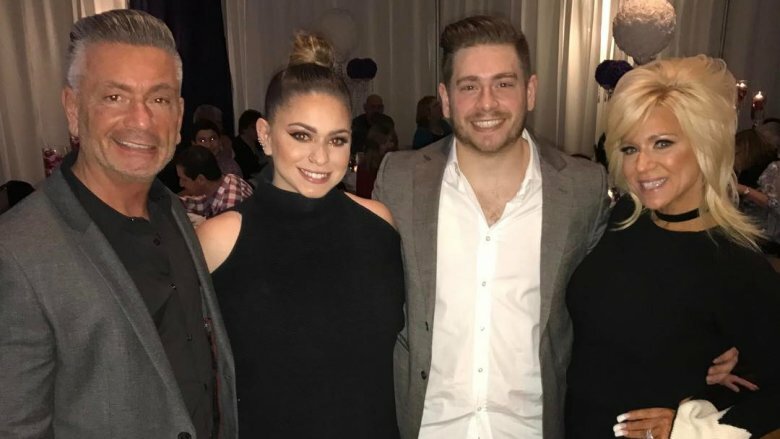 One grieving widow claims she's "angry, agitated" and "full of crap"
Tune into an episode of Long Island Medium and you'll likely get the sense that Caputo's communication with the departed is effortless and very much real. But according to RadarOnline, that couldn't be further from the truth. Speaking with a widowed mom of three who invited the reality star into her home for a reading, the outlet discovered that Caputo actually relies on help from her production team to get it just right. Meeting with Caputo's assistant a day before taping, the unnamed widow was asked "to tell her all about my husband's passing, so I did," she revealed. "She promised she wouldn't tell Theresa, but she totally could have told her everything." Then came their encounter, which left a bad taste in the mom's mouth. "After our greeting, which we had to film twice because I didn't say the right things, Theresa brushed right past me and began talking to her crew," she recalled. "The crew knew what my husband looked like. They could have told Theresa about it when she first spoke with them." Despite filming for a whopping six hours, she claims Caputo "didn't hit on anything surprising, and became very agitated and angry when I shut her down. I refused to fake it and cry 'Oh my God, you're right!'" she said, concluding, "I don't believe her. I think she's full of crap! I don't think she really gives a sh*t about the people she meets. It's all for the cameras." While promoting his new reality show, Criss Angel BeLIEve, in which he set out to unmask "the creative process behind illusions and demonstrations," famed illusionist Criss Angel personally called out Caputo and questioned her authenticity. "The interesting thing about [Criss Angel BeLIEve] is that it does have the word 'lie' in the middle," he told NewsDay while promoting the series. "So, for me, I say believe but be cautious. And don't take the LIE!" And so, he set out to debunk all kinds of lies, both on the small screen and off it, turning his sights to a certain celebrity psychic medium. 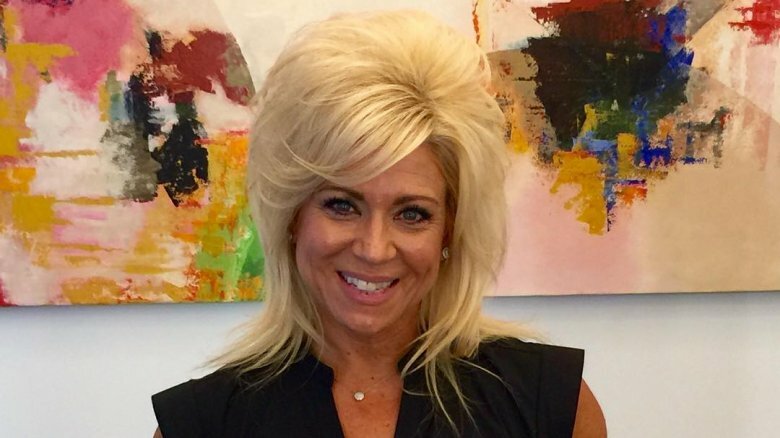 "@theresacaputo take my 2 million dollar challenge or stop exploiting the vulnerable," he tweeted in October 2013, challenging the star to prove herself. "If you're legit ur 2Million richer." Not surprisingly, she didn't respond or take the challenge, leaving many to question if she does indeed have something to hide. In addition to being called a "phony" by some of her clients, Caputo landed at the center of a full-fledged investigation in 2014 when professional whistleblower Ron Tebo, who runs SciFake.com, set out on her trail to prove that her ability to communicate with the deceased is a total hoax. "Theresa is like a vulture preying on the most vulnerable," Tebo told RadarOnline of his motivation. "I think it's despicable." After spending a year interviewing a slew of clients and colleagues, the investigator concluded that Caputo is simply reading body language, making high-probability guesses and relying on her assistants to pre-interview the show's guests — not talking to the dead. "She schmoozes with the audience, and wins them over with her big hair, designer shoes and comedy. When they trust her, she goes in for the kill," he told the outlet. "She'll ask the group a question like, 'Who lost an older male relative to heart problems?' It's the oldest trick in the medium's book." Tebo went on to speculate that, "when you purchase a ticket, you provide your full name, address and phone number to the vendor. The vendor can share this information with her staff, and then they can investigate the individual audience members. It seems she focuses on the front rows." As skepticism surrounding Caputo's supposed powers continued to mount in 2014, even her hometown turned against her. 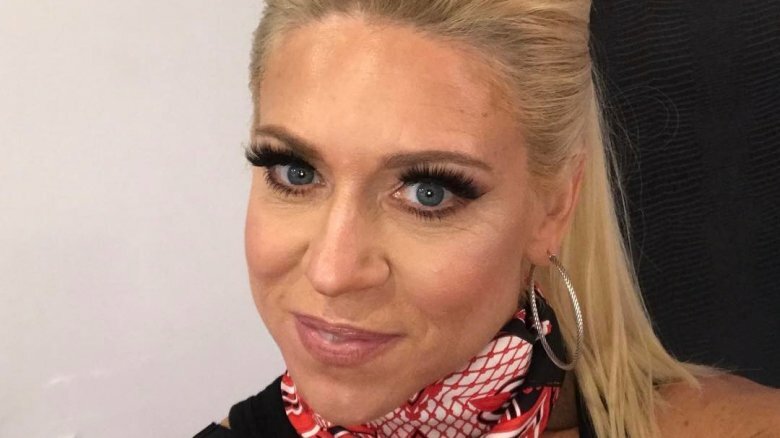 In a piece titled "My Not-So-Psychic Experience With 'Long Island Medium' Theresa Caputo," Jaime Franchi recalled her own experience with the TV star and how she went from being "a believer" following a successful private reading that connected her with her father to being a total skeptic. What changed her mind? Attending Theresa Caputo Live! The Experience. "I wasn't buying it, any of it," she recalled of the experience. She was "asking specific questions that, when they weren't met with nods of agreement, became described as merely symbols of other, more general things." According to Franchi, the evening was peppered with incidents in which Caputo made claims that were met with shrugs or silence and quickly tried to turn them around. For example, "she seemed annoyed when a woman answered the question about a 'father-figure' with the fact that he was her uncle. 'It's your uncle. That's a father-figure,' Caputo dismissed. 'Same thing.'" Franchi concluded, "In my humble opinion, Caputo is a damn good performer. And she's got undeniably likeable sass and charisma. I just don't think she speaks with the dead. Or she didn't the night that I saw her." 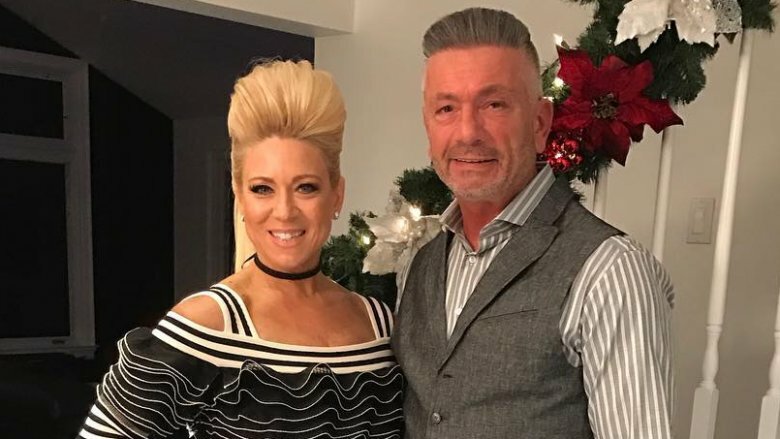 After opening up about her struggles with weight on Long Island Medium, Caputo made the decision to turn her life around in 2013 and get healthy. Hiring a personal trainer, she began working out regularly and started watching her diet. "I'll admit it, I'm lazy," she confessed as TLC cameras caught her first workout. "I have no motivation when it comes to working out." After that initial hurdle, however, she kept it up, telling People in 2016, "[Working out] just helps me in general. I always hated exercising… but now I can't picture my day without it." Speaking with The New Potato that same year, she revealed the importance of her lifestyle overhaul. "You have to take care of yourself physically, emotionally, and spiritually, especially to do what I do," she declared. "I changed a lot of my eating habits because of what I do… I started to eat really healthy, and then once I started this whole thing with television and being on the road so much and not having a normal life, I had to start eating organically," she added. "I started really eating clean. Now that's only probably been within the last year, when I went strict about eating really clean. I still have those moments, but then I don't feel well after I eat." In addition to speaking with individuals who have passed on, Caputo claimed to also have the inside scoop on what life after death is really like in her 2017 book, Good Grief: Heal Your Soul, Honor Your Loved Ones, and Learn to Live Again. 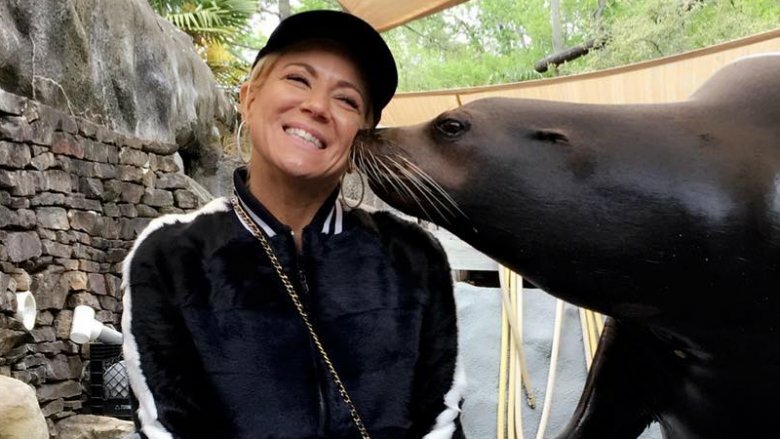 Describing her take on heaven in quite a bit of detail, the Long Island medium revealed that she believes the other side is the perfect place to meet all kinds of celebrities. The reason she knows this, according to the book, is because, one day, her cell phone began randomly playing a "crazy rap song," which was a message from her late grandmother. "Maybe she's hanging out with Tupac in heaven!" Caputo wrote, speculating about the track's meaning. "In heaven, souls spend time doing what they loved on this plane — cooking, dancing, playing tennis — but they also do meaningful work to help humans, grow their own souls, and learn lessons," she added. Pick up Andy Cohen's memoir, The Andy Cohen Diaries: A Deep Look At A Shallow Year, and you'll discover a scathing review of Caputo's abilities as a medium. The TV host first met the reality star when she appeared on his show, Watch What Happens Live, in March 2014 and "asked for a few minutes with her afterwards to see if Natasha [Richardson, his late best friend] would come through," he writes in his book. "She didn't, so it was a lot of fishing." The following day, Caputo's manager reportedly reached out to Cohen, saying "she feels terrible that she didn't give me a good reading and wants to do it over. A polite offer that I refused." Anderson Cooper also isn't a fan — "I'm pretty skeptical about this Long Island Medium stuff," he claimed following a 2012 interview. Howard Stern is in the same boat, and actually went as far as to ban her from appearing on his show after she asked for 45 minutes alone with his audience. "We're not interested in leaving people alone with the Long Island psychic for 45 minutes," he declared. "She's never coming in here… It's never going to happen. The Long Island psychic is not a psychic." It was December 2017 when Caputo and her husband, Larry, shocked fans, revealing they were calling it quits after 28 years of marriage. "We have decided to legally separate," the couple told PEOPLE. "We will always love each other and our two wonderful children. We are united in supporting each other and our family. Please respect our privacy during this time." As it turns out, however, Caputo had a premonition about the divorce four years earlier in 2013. 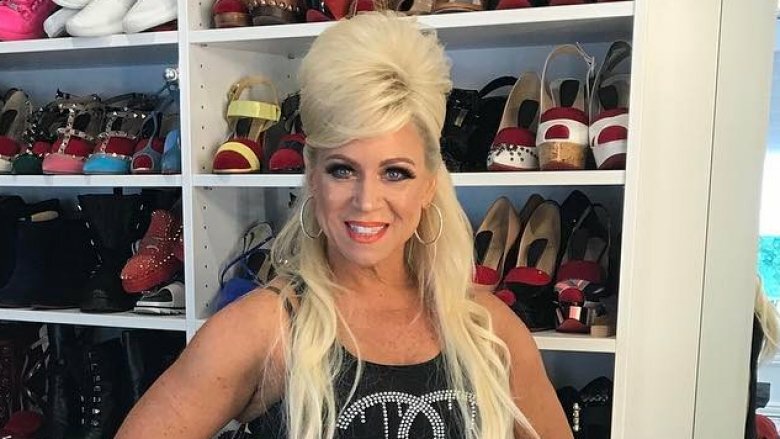 RadarOnline dug up a Long Island Medium clip from that time, which shows Caputo admonishing her husband — "Where have you been? You're in big trouble!" — before revealing that she had a vision of him being unfaithful. "I dreamt that Larry was having an affair," she explained. "And I'm like, 'Are you freaking kidding me? Seriously?'" Her hubby echoed her worries at the time, saying, "It's funny you mention that because I had a dream some girl was trying to hit on me." 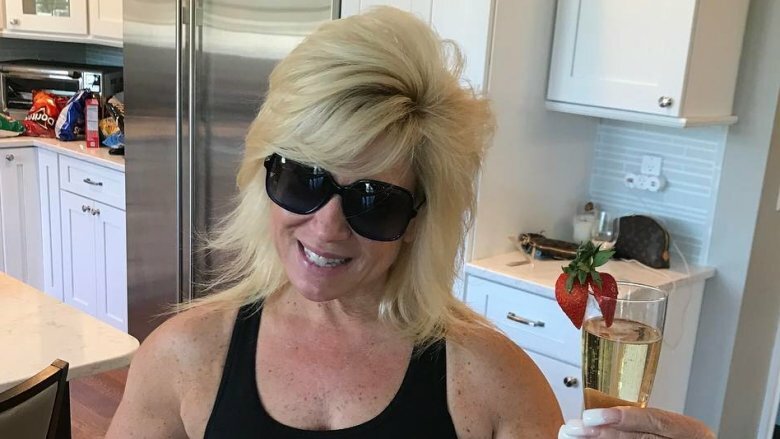 Her divorce left her "nervous" and "scared"
"I am just feeling extra anxious," Caputo confessed as TLC cameras rolled for Season 12 of Long Island Medium, a season focused largely on her separation from her longtime husband, Larry. "God knows what I'm going home to," she continued. "The situation with Larry and I is still unresolved. We're living separately right now, so we're just taking it day by day." With her marriage crumbling after nearly three decades and her husband moving across the country from New Jersey to Los Angeles, Caputo also confessed to fans that she was really struggling with the realities of her changing relationship. "Let's get down to the real of it," she proclaimed. "Am I nervous? Am I scared? Absolutely. So now this next step, I don't know what that's going to be, but things just aren't the same." She went on to add, "It's hard when you love someone, when you really don't want to let go."